Continuum, working closely with our partner Alzure Environmental Services, offers a comprehensive range of innovative and revolutionary eco-solutions for problems involving land, water, air contamination and the resulting pollution. Based on established science and practice and having been applied to resolving such problems for over a decade, these solutions offer clients practical and cost effective ecosystem remediation. The success of our proposed solutions is guaranteed. We will always carry out a detailed initial survey for every site and each proposed application. This allows us to ensure that the exact remedial formulation is engineered according to the conditions found and for subsequent pre-testing of the proposed solution to take place prior to its application. The Continuum service is an all-inclusive, end-to-end solution for all areas of ecosystem remediation, from surveying & the production of sophisticated working models, the design and preparation of the required solution, right through to full application implementation & monitoring. Our solutions are not only cost effective but also fast acting. Avoiding the need to employ normal “dig and haul” methods of remediation offers high levels of cost savings. 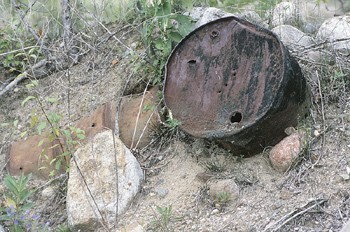 For most land remediation a positive result can normally be seen within 14–21 days. For water treatment and air clean-up, improvement normally takes place upon application. 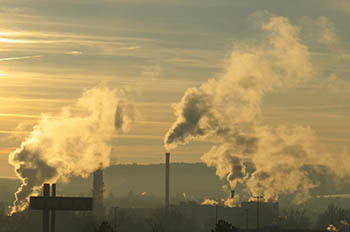 We are able to deal with a broad range of contaminants normally found in land, water or air pollution. The approved application is able to achieve up to 95% reduction in petrochemical, industrial by-products and common chemical contaminants including phosphates, nitrates and chlorine. This is usually achieved within 28 days of application. A phenomenally short time frame when compared with other solutions. 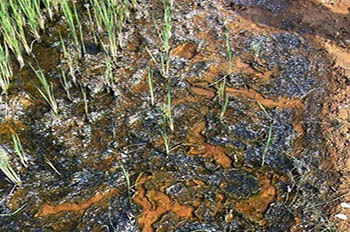 Polluted or contaminated land is a growing issue throughout the world. Whether it is a result of industrial activity, contaminant spillage or use of pesticides and herbicides, the “clean up” of land following years of misuse is urgently needed. Working closely with our partner Alzure, Continuum takes a holistic approach to land remediation. Throughout the project we work closely with our clients, planners, environmental health authorities, and other stakeholders to fully understand the context for each contamination problem. We specialize in on site remediation. We will fully survey a site then formulate and test tailored solutions for each part of the site in order to achieve the agreed results within the shortest timescales. Safe drinking water is a basic human right and in the 21st century should be available to all people no matter where they live in the world. Everyone should be able to turn a tap and drink clean water. That is a challenge for us all. 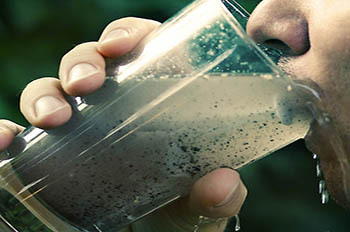 In addition to the normal groundwater treatment involved in land remediation, Continuum offers services for cleansing contaminated and polluted water in order to provide people with safe potable or drinking quality water. This treatment uses powerful flocculants (not chemicals), which combined with ultrasonic frequencies and highly specialized filtration systems produce high volume water filtration. We have all become fully aware of the effect that burning fossil fuels and carbon emissions are having on the global environment. The issue has been finding a solution to solve the emissions problem while countries maintain or increase much needed electric power or commercial output. Through technology developed in conjunction with our partners we offer solutions to extract contaminant substances from the air, particularly from smoke stack installations. The majority of unwanted substances can be extracted and collected for recycling, thus solving the problem of carbon emissions. As with all our solutions, Continuum will work with clients to tailor the solution to meet both their business and environmental needs. For decades valuable agricultural has continued to be contaminated through the use of pesticides and herbicides resulting in the land being subsequently rendered unusable for farming and safe food production. The Continuum solutions include the repair of degraded, damaged and over-farmed soil resulting in the improvement of the crop yield. The solutions also increase water retention aiding land irrigation, provide a much reduced need for further use of chemical fertilisers & pesticides resulting in a vastly reduced overflow of nitrogen. Continuum also offers optimal solutions for the detoxification of the soil contaminated by animal waste. Our goal is to convert damaged farm land to ‘organic’ soil without a break in continued agricultural production.